Before the arrival of J. K. Rowling's famous wizard Albus Dumbledore or even J.R.R. Tolkien's Gandalf, the best known sorcerer of them all was Merlin. 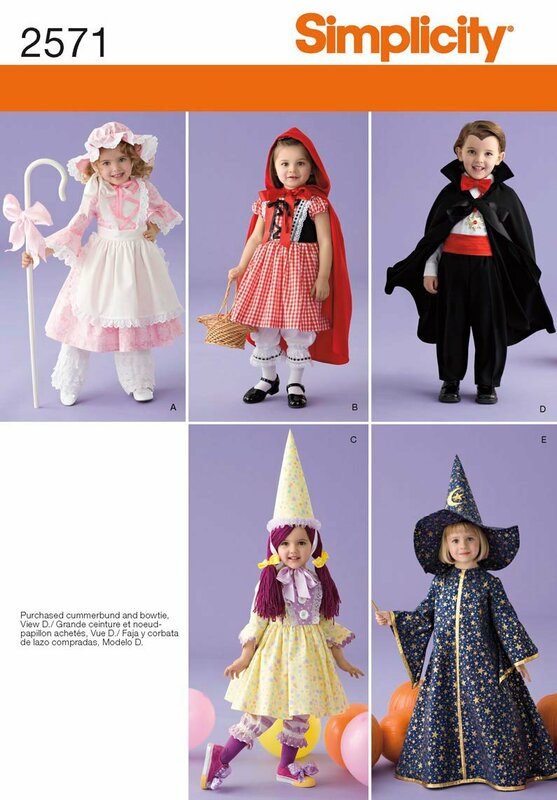 Here's some magical Merlin Wizard costumes suitable for children and adults too. Get lots of ideas on perfecting the exact look for this mysterious mythical figure who was popularized in the medieval period of history. Kids and adults should really enjoy dressing as this famous character for Halloween and other occasions. If you've already read about King Arthur and the Knights of the Round Table, you will know this character as the court magician. But there was so much more to Merlin than this. 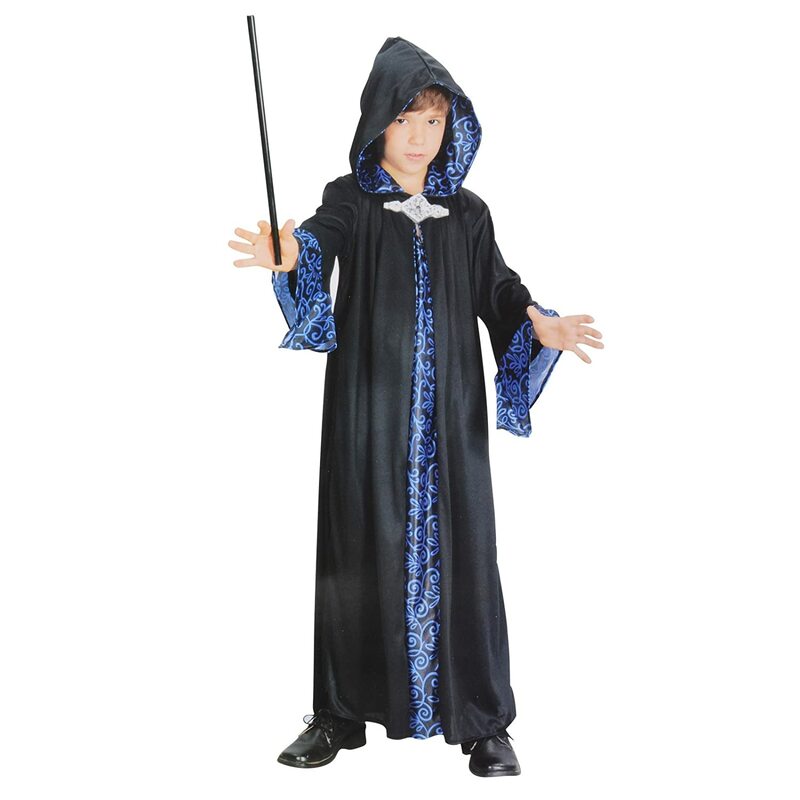 Merlin makes a great choice to dress up as for Halloween and for many other occasions such as kid's parties too. He has been a very popular choice in Disney movies, TV shows like Once Upon a Time, Camelot and The Adventures of Merlin. My favorite portrayals of his character on screen include that of the actor Sam Neill in the mini series and also the younger Colin Morgan in the recent and fantastic BBC TV series that was also shown in the USA. 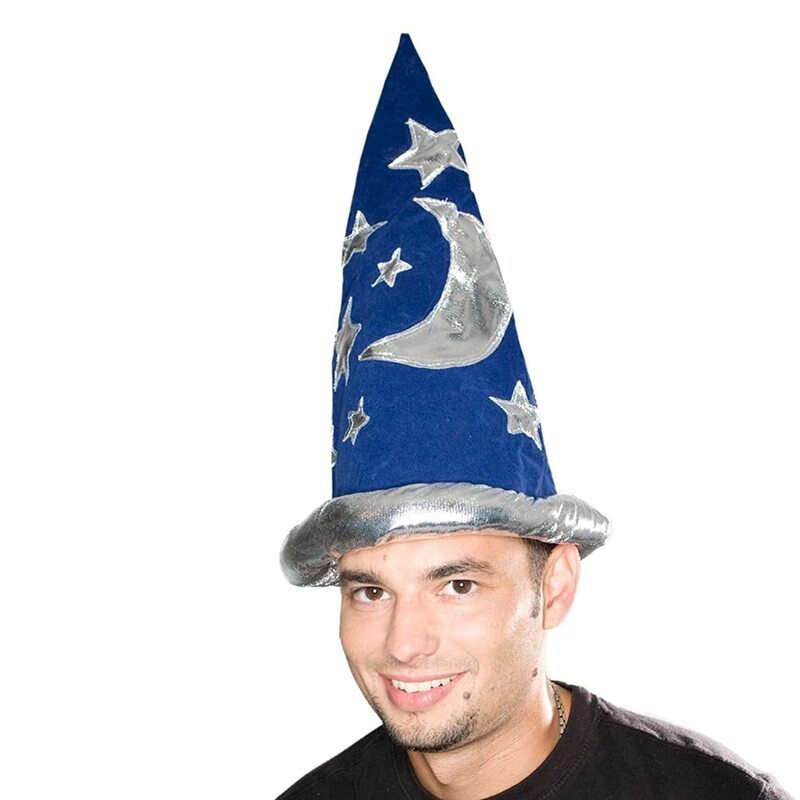 These did not make use of the pointy wizard hat that we all know and love but were more modern versions of this magical man. There is a fun televised version of Merlin that is shown as a 4 part mini series and is brilliantly acted with famous names of Sam Neill, Helena Bonham Carter and Rutger Hauer taking part. 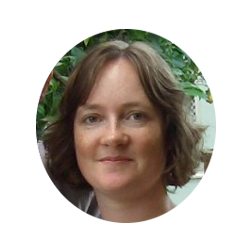 This wizard has captured the imaginations of many writers and has been captured on the big screen time after time. He is a legend who endures through time despite the fact that it has never been proven that such a figure ever existed. This series is from 1998 so will seem very dated and a bit cheesy in parts but I still really enjoy watching this because I find it to be magical and entertaining. It is also a PG rating so one that is suitable for most kids to see as well. 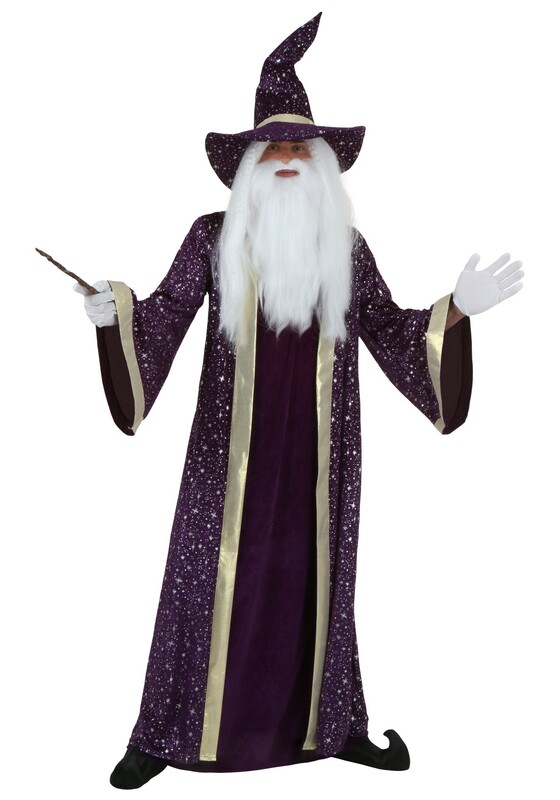 With a traditional style magical wizard costume there are certain things that most people expect to see. 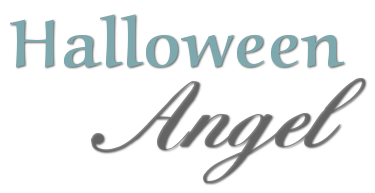 The nearer you get to what people expect for this look helps you to nail the character for Halloween, cosplay and other occasions. 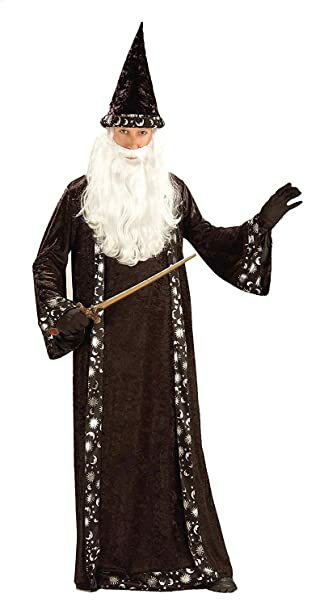 These are the absolute key Merlin the Wizard costume items that you really need to pull off this look. I'll go into more detail about each one below to help you really nail this character. 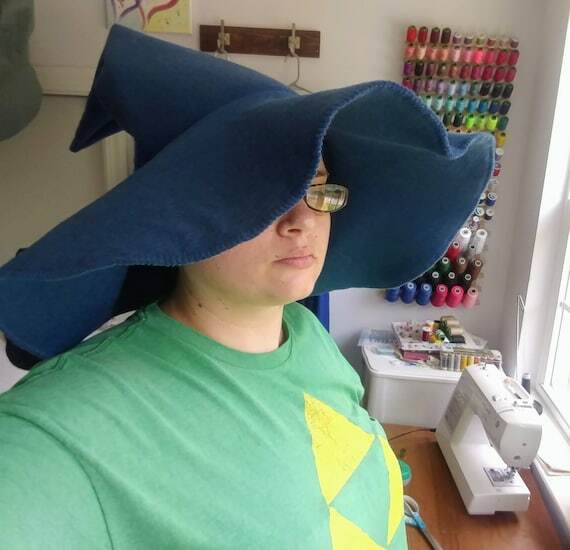 A tall, pointy costume wizard hat is rather essential to the look. If it comes complete with stars and a moon symbol then even better. You can match the color of the hat to your robe. 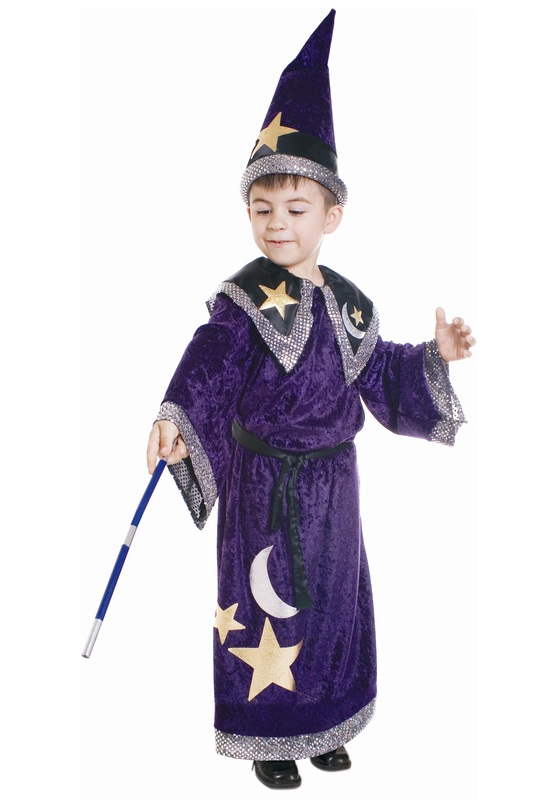 A dark blue or purple color is most appropriate for this magical magician. 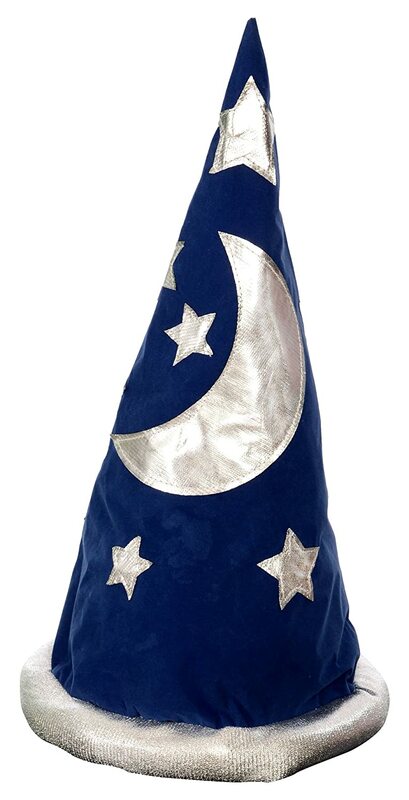 Hats are often adorned with stars and celestial symbols such as the moon. It is a good idea to get one with a pattern or an obvious colorful look so that it doesn't look anything like a dark black Harry Potter hat. 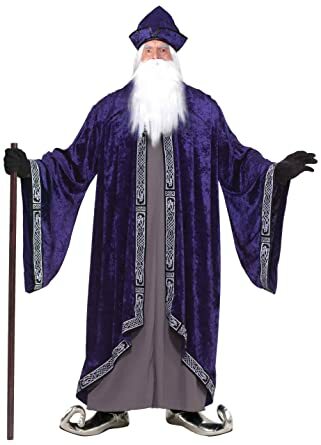 Although the long wizard robes are often shown as being blue, many other colors are used including purple, black and red. Blue and purple are colors most associated with this character. 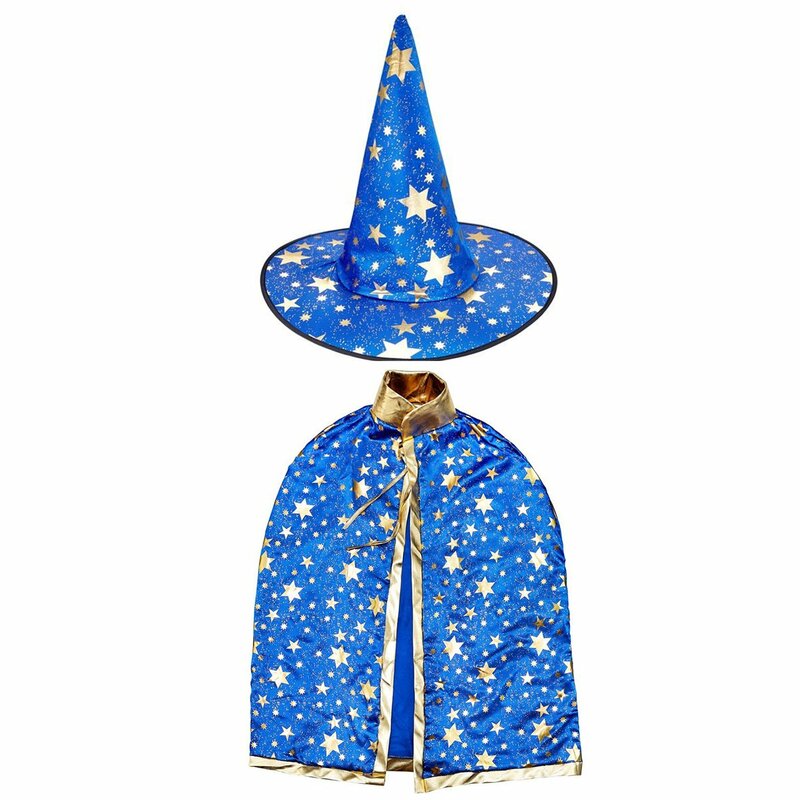 Perhaps blue is the strongest color association for the pointy hat and robe because this was how Merlin looked in Disney's iconic The Sword in the Stone movie. 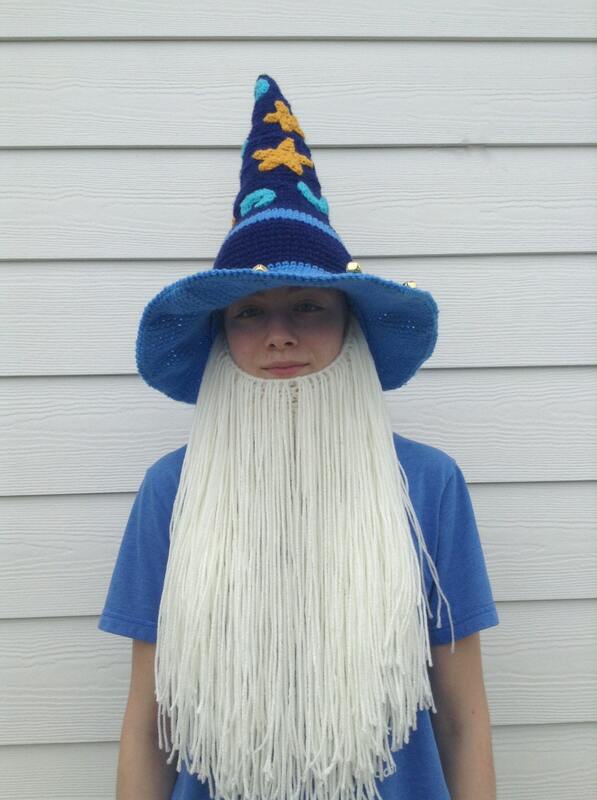 A long white wizard beard gives a much more authentic wise wizard look. It is fairly easy to get hold of a white beard costume accessory, at least for adult men to wear. You can get a matching white wig and white beard set. The final essential item is a wizard's wand. Any great and powerful magician needs a wand to complete the whole look for a costume. Occasionally you would see this character with a long staff instead of a wand. A staff is also pretty good to lean on if you'll be standing up a while at some cosplay convention! Once you've rocked the essentials, you can add in some detail to your costume using additional items. Here are some suggestions for enhancing your look. I'm rather mad about the Adventures of Merlin fun series. It looks at this character from the fresh angle of being a boy and one who is, at first, unsure of his powers. Merlin is thrust into the world of the young Prince Arthur who will one day be King of Camelot and more. There are lots of hilarious situations at first since the pair don't immediately get along but they soon become as close as brothers and it is this wonderful brotherly relationship which drives the show from start to finish. If you watch this, you will really come to care for the characters. It is hands down my favorite version of the legendary sorcerer. 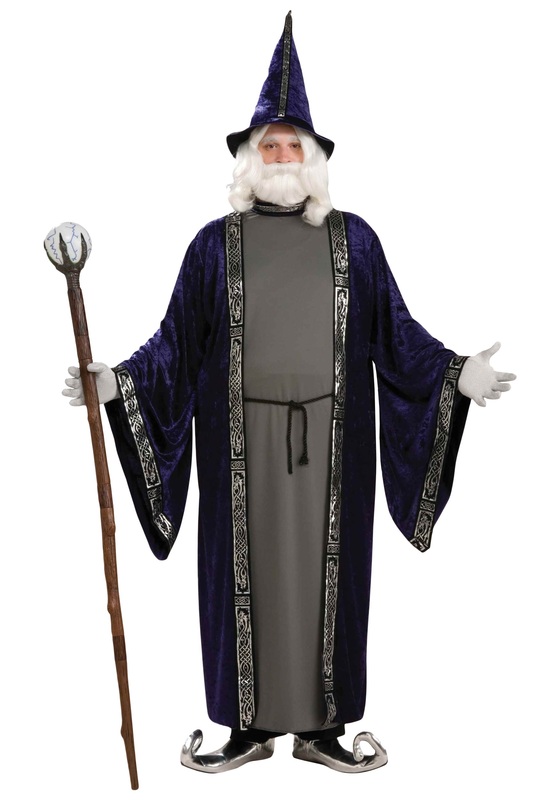 However, it's so much easier to pull off the standard wizard look that Disney popularized with the long blue robes and matching pointed hat with wide rim. That's the look I'd go for at Halloween.